The International Olympic Committee organizes the modern Olympic Games, held in the summer and winter, alternating every two years (with a few exceptions) since 1896. Many cities compete for the honor of hosting the next Olympic Games. London, hosting the Olympics for the third time, is carefully preparing to show the world their take on this international tradition. The featured titles included here focus on the 2012 London Olympics, the many popular sports that athletes will be competing in, the history of the Olympic Games, and other related topics, such as the business of sports. A part of “The Olympics” series, this fact-filled volume introduces the young reader to London’s preparations to host the Olympic Games in 2012. London is the first city to be chosen as host three times. The book begins with the successful bid and the journey of the Olympic Torch as it travels from Beijing to London. The new Olympic venues are highlighted as well as some of the athletes expected to participate, such as well-known tennis star Rafael Nadal. More than 4,000 athletes are expected to participate in the Paralympics which will begin soon after the Olympic Games. All venues will be wheelchair accessible to accommodate the Paralympians. 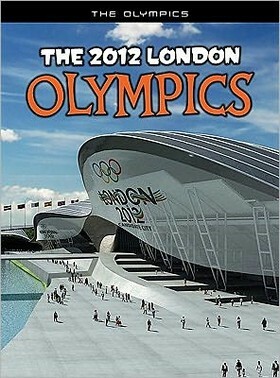 A list of Olympic venues and a map of London showing their locations is included. Brightly colored fact boxes and color photographs along with charts and maps give a brief view of the Olympics through the years. Words appearing in bold print are defined in the glossary. A list of books and websites for further information and an index are included. 2012, The Heinemann Library/Capstone Global Library, Ages 8 to 12, $29.00. 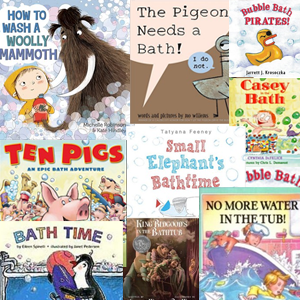 Reviewer: Shirley Nelson (Children’s Literature). Canoeing and kayaking are sports that offer something for everyone! The boats are similar in design, but with one crucial difference: the paddle. A canoeist uses a short paddle with a single blade. A kayaker uses a long paddle with a blade at both ends. There are many types of materials used for paddles, like plastic, fiberglass, or wood. Carbon-fiber paddles are very light and strong making them ideal. Kayakers have a paddle with two blades set at an angle to each other. For beginners, a basic, all-around boat is ideal. Kayaking and canoeing are potentially dangerous sports. The weather has great impact on canoeing and kayaking. Killer cold and deadly heat are dangerous because over-exposure to either can be deadly. Safety gear must be worn at all times. The two most important items are a helmet and a buoyancy vest. Without them head injuries or drowning can occur. Most kayakers and canoeists take part in the sport for fun, but there are a lot of competitions, including the Olympic Games! I found this book fascinating. 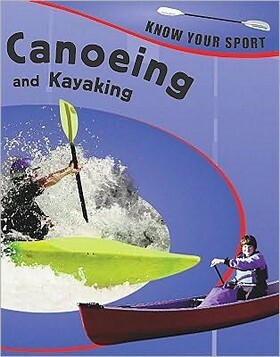 It taught me a lot about canoeing and kayaking. There are even web sites listed to help the reader learn more about these exciting sports. Part of the “Know Your Sport” series. 2011, Sea-to-Sea Publications, Ages 9 up, $28.50. Reviewer: Beverly Melasi (Children’s Literature). Curling, the Fosbury Flop, and “the Miracle on Ice;” readers who are familiar with these terms, and even those who are not, are likely to enjoy and learn from this book about the Olympics. 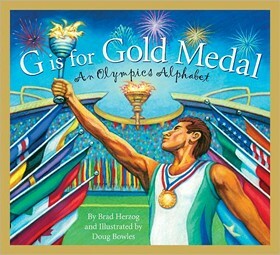 Not an alphabet book in the traditional sense, this publication is more of an encyclopedia of articles about some of the more fascinating stories behind the Olympics. From the inspiring histories of Jim Thorpe, Jesse Owens, Michael Phelps, and others to the amazing tales of determination and friendship by lesser-known athletes, these stories provide as much illumination about the value of competition and sportsmanship as they do about the Olympic sports themselves. 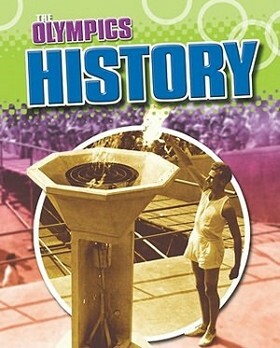 Readers who are well versed in the history of the Olympics are still likely to discover new information in these pages. Each subject, beginning with a letter from the alphabet, is presented on one large page that contains a short verse, a half column of text, and a color illustration. At the back of the book is a list of the locations of the winter and summer games, from 1896 until 2016. Teacher’s guides are available. The book is well edited, but could be improved. For example, the inclusion of an index would have made finding individual references easier (for example, the reader may not remember that the entry for Jim Thorpe is under “G” for “greatest athlete”). The verses should probably be revised. They are too flat and simplistic and do not complement the text, which is written at a higher grade level. Nevertheless, this book should be quite interesting to readers, especially those who are looking forward to the Summer Olympics in London in 2012. 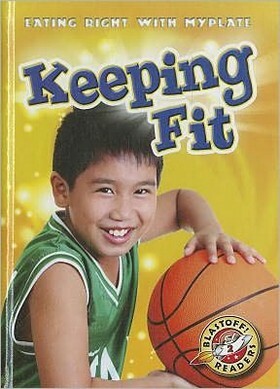 2011, Sleeping Bear Press, Ages 7 to 13, $15.95. Reviewer: Leona Illig (Children’s Literature). 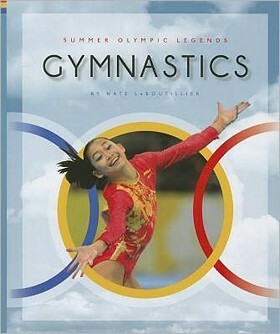 Gymnastics has always been a thrilling competition at the Olympic Games, and this book demonstrates why. From the little-known story of George Roth, who won gold in the Indian clubs event and then had to hitchhike home, to the impossible perfection of Nadia Comaneci, this book tells the compelling stories of some of the athletes who participated in the summer games from 1896 to 2008. Setting the stage with a short introduction to the sport, the author then describes the personal and professional histories of the athletes. A timeline at the top of each chapter helps readers locate their place in Olympic history. The book, which is part of the “Summer Olympic Legends” series, contains more than the gripping performances of the athletes, however. Included also are the tales of events which were discontinued over the years, as well as sketches of the athletes’ coaches, most notably Bela Karolyi. The controversies and low moments of gymnastics competition are not passed over. These include the harsh Communist training programs and subsequent defections; incompetent or corrupt judges; illegal drugs; and underage competitors. The text is riveting and the photographs are outstanding. At the back of the book are a glossary, a selected bibliography, a list of web sites, and an index. There are a few areas that could be improved, but nevertheless, this book will undoubtedly fire of the imaginations of readers and increase their interest in the London competitions. 2012, Creative Education, Ages 10 up, $25.65. Reviewer: Leona Illig (Children’s Literature). Danny is not the average kid. He attends the Victory School for Super Athletes. His special sports ability is his speed and, with football season over, he decides to try wrestling. 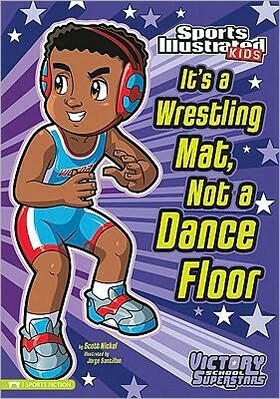 He doesn’t know how to make his skill work to his advantage in this new sport, so he dances around the wrestling mat. The coach convinces Danny not to quit the team, but to work hard and give 110 percent. Danny uses problem-solving skills to figure out how he can use speed to win wrestling matches. This book is part of the Sports Illustrated Kids “Victory School Superstars” series teaching life lessons and dedication through sports. Nickel creates an entertaining story while teaching the value of perseverance. Santillan’s graphic illustrations are bright and fun. A timeline of the history of wrestling and a glossary provide the reader with additional facts about the sport. Readers will enjoy getting to know Danny, and the sport of wrestling. 2011, Stone Arch Books/Capstone, Ages 7 to 8, $18.99. Reviewer: Patricia Wooster (Children’s Literature). One of seven in the “Eating Right with MyPlate” series, this edition focuses on keeping the body healthy and in shape by eating right, staying active and participating with others in sports or activities. MyPlate is the USDA suggested nutritional standards in visual form that has replaced the old food pyramid. Designed for readers at Level 2 of the Scholastic “Blast Off” series, it includes standards-based content that utilizes simple sentences, increased text and less repetition than Level 1, it could be considered an early reader. The print is large and color photos provide clues to the text content. Divided into four mini chapters, it encourages readers to stay fit using photos of students in action as well as related text. New vocabulary is printed in bold type and repeated in a glossary at the end of the book. Sources for further study and an index are included, as well. Perfect for guided reading. 2012, Children’s Press/Scholastic, Ages 5 to 7, $22.00. Reviewer: Meredith Kiger (Children’s Literature). This text is part of the “Ethics of Sports” series specifically focused on introducing ethical issues related to the world of sports. 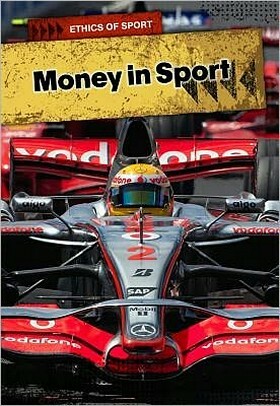 This particular text, with its focus on money in sports, contains eleven chapters that begin with a general introduction, proceed to how sports were configured historically and how it is seen in the world today, and ends with a section that asks readers to consider topics and scenarios related to the impact of money on athletes and teams. The nine chapters in between consider who in sports deals with the financial pieces and how each are impacted, the on-going influence of sponsorship, fans and their impact, and tomorrow’s rising stars and the pressure put on those athletes at a young age. Final chapters focus on the notion of sports for the masses (the Olympics) and if that is feasible today in light of big paychecks and the cost to prepare athletes for excellence in those areas. Photos throughout the text help readers connect to specific athletes as well as represent the issues discussed. The glossary and “Find Out More” sections at the end provide additional resources for those who would like more information about what was discussed in the book; the notes section for this series is excellent and a model for other series. This text, and the series in general, provides a phenomenal look at issues in sports that have a wide impact and are a fabulous resource for teachers looking for good examples of nonfiction. 2012, Heinemann-Raintree/Capstone, Ages 10 to 18, $34.00. Reviewer: Jean Boreen (Children’s Literature). With the Olympic Games becoming more and more spectacular every two years, here is “The Olympics” series to introduce young sports fans to history, events, heroes, and conflicts. Readers of this title will discover that the ancient Greek games, held in honor of Zeus, continued for over 1000 years, their feats depicted in statues of athletes and designs on Greek vases. Centuries later, French baron Pierre de Coubertin (shown nattily dressed, sporting a huge moustache), revived the Games, the first modern Olympics being held in 1896 in Athens–forty-three events and 245 competitors were controlled by the fledgling International Olympic Committee. Eventually, more countries participated, organization expanded (first Winter Games were held in France in 1924), an Olympic oath and motto (Faster, Higher, Stronger) became traditional. In 1936, Adolf Hitler tried to glorify Nazi racial politics with the Olympics in Berlin, but an African-American runner Jesse Owens triumphantly won five gold medals. Though the Games were suspended during World War II, the Cold War brought tensions and boycotts as the Soviet Union entered the competition. With the spread of television coverage, ceremonies and spectacles grew ever more elaborate and expensive; finally, the idea that all athletes should be amateurs was discarded, while illegal use of performance-enhancing drugs caused scandals and loss of medals. Today, the Games have become commercialized, with new sports constantly introduced, cities competing fiercely for the venues (decided nine years in advance) and new technologies making possible gigantic theatrical shows and stadiums like the bird’s nest–shaped structure in Beijing. Each book contains an abundance of color photos (many historic black-and-white pictures in this volume), shots of outstanding athletes, and close-ups of special gear and equipment; glossaries and timelines should help avid watchers navigate the next Olympics in London and Sochi, Russia. 2011, Sea-to-Sea/Black Rabbit, Ages 9 to 12, $28.50. Reviewer: Barbara L. Talcroft (Children’s Literature). Daddy wanted Alice to “sit on the porch and be a lady,” instead of being different from all the other girls in 1920s Albany, Georgia, by wanting to practice the high jump. Undeterred, Alice Coachman knotted rags, tied them across sticks driven into the dirt, and took running leaps that prepared her to compete with the Tuskegee Golden Tigerettes. Sucking on a sour lemon that made her feel “lightning-fast, feather-light, and moon-jumping strong,” she took her first national medal, but it would take some convincing for her father to allow her to leave the farm and actually enroll in the Tuskegee Institute. As she worked her way through school and trained with the Tigerettes, World War II delayed her Olympic ambitions. 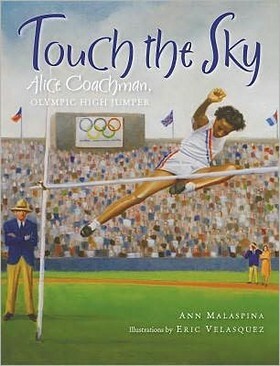 Finally, in 1948, she set an Olympic women’s high-jump record of 5 feet, 6 1/8 inches, becoming the first African-American woman to win Olympic gold. Malaspina recounts Alice’s triumph in a staccato, ragged-right-edged text (“Flags waving./ Flame burning./ Pigeons flying into the blue./ The Olympics had begun-/ and Alice’s dream/ was almost . . . / almost/ here”). Velasquez delivers a gallery of track scenes that alternate realistically between moments of leg stretching and intense concentration, and moments of Alice in full flight. A list of Malaspina’s sources is included, but children will be far more interested in the double-page spread of black-and-white team photos from Tuskegee and the Olympic games and the note on Alice’s welcome-home festivities and her later career. Librarians who incorporate Kathleen Krull’s vibrant Wilma Unlimited (BCCB 4/96) in their storytimes will want to add Alice Coachman’s barrier-crashing performance into the program. 2012, Whitman, Ages 5-9, $16.99. Reviewer: Elizabeth Bush (The Bulletin of the Center for Children’s Books, April 2012 (Vol. 65, No. 8)). Part of the “Extreme Sports” series, this is a good introduction to the variety of activities available to people on the move. As expected, swimming is introduced first. Diving, along with a warning about cliff diving, is included next. The author writes about the difficulties of water polo and the different kinds of skiing, including jet skiing. The reader learns about surfing, windsurfing, and body-boarding. 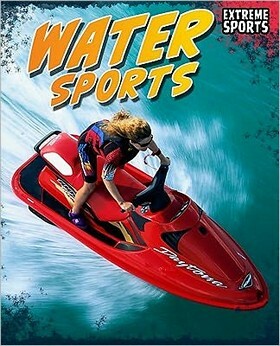 Finally, wakeboarding and barefoot skiing are introduced. Readers are warned many times not to do any of the activities in an unsafe manner. The numerous detailed photographs always show athletes using the proper equipment to remain safe. Readers are also reminded to stay healthy enough to enjoy the activities without injury. The table of contents, brief glossary, “Find Out More” section with books and websites, and index help make this a useful guide. Just in time for the summer Olympics, readers can read about what they’re watching. 2012, Raintree/Capstone Global Library, Ages 7 up, $29.00. Reviewer: Sue Poduska (Children’s Literature). 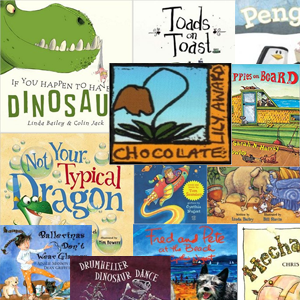 If you’re interested in reviewing children’s and young adult books, then send a resume and writing sample to marilyn@childrenslit.com.